What is the Best Approach to Internet Marketing? 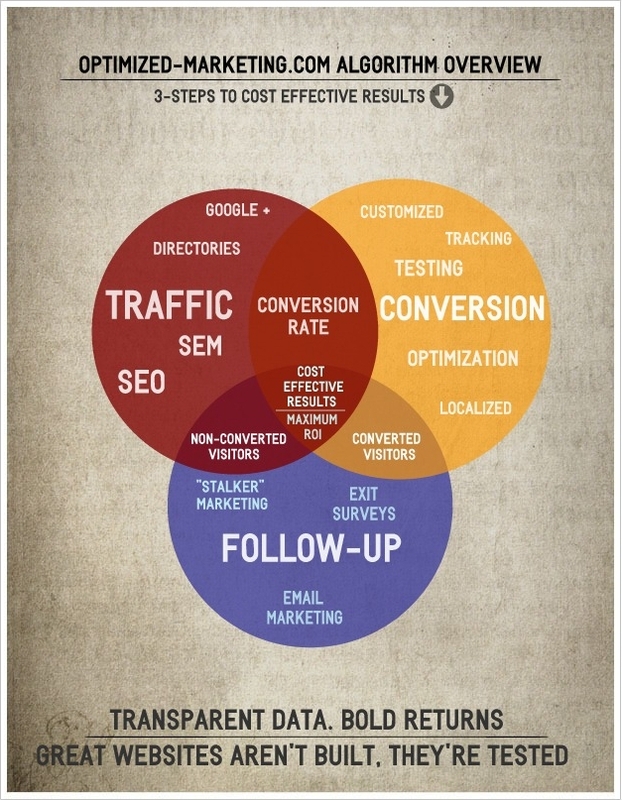 The simplest way to understand online lead generation is to break it into 3 pieces. How are you Converting it to leads? How are you Following-up with visitors not-yet-ready-to-buy? Search Engine Marketing services in the form of Google Adwords, Facebook Ads and other networks. Local Search Engine Optimization – focused on your local market based on what you learn from SEM. Online Yellow Pages Optimization – there are dozens of online directories that can send high-value traffic to your website so it’s important that your contact information is up-to-date in all of them. Onsite split-testing, click-tracking and our proprietary visitor-flow analysis to learn what converts your visitors to contacts. Online surveys quickly provide a custom solution for your visitors while learning more about their knowledge-level of your products. Targeted landing pages to quickly and efficiently convert specific Traffic sources. Not all visitors are ready to buy today. However, are you going to be there when they are ready to buy 3 months from now? Email marketing is the best way to stay in touch with your target market. As a matter of fact, 77% of consumers prefer retailers to communicate with them via email. Direct mail is second at 9%. Google & Facebook “stalker” Marketing – Google and Facebook have the ability to show your ads to people who have previously visited your website. You think you might be at the forefront of her mind when she sees your ad several times a day? Any time a web expert, internet marketer, or your cousin Vinny says you MUST be doing THIS online right now, figure out which of these 3 categories his suggestion would fit into and then you have a direct comparison for cost and ROI. Also, don’t focus too much of your budget in any one area as you need all 3. An online lead-generating machine is not just a website. A website is only one piece in the puzzle. Traffic, Conversion, and Follow-up are all required to make your online lead-machine really hum!